Perfume (パフューム, Pafyuumu) is a Japanese pop girl group from Hiroshima Prefecture, Japan, consisting of Ayano Oomoto (Nocchi), Yuka Kashino (Kashiyuka), and Ayaka Nishiwaki (A~chan). The group has been signed with Amuse, Inc. since 2003 and with Universal Music Group since 2012. Perfume took their name from the fact that the original members all had the Japanese character for fragrance in their names. Nowadays, Perfume became well-known for their Technopop style. In 2000, three young girls : Yuka Kawashima (Kawayuka), Yuka Kashino (Kashiyuka), and Ayaka Nishiwaki (A~chan) formed a group inside young talent academy Actors School Hiroshima (ASH). Because they had same kanji for 香 (ka / kaori, mean fragrance) in their name, they decide to choose name Perfume (香水 [kosui] in Japanese) for their group name. At that time, the group name written in hiragana ぱふゅ〜む or ぱふゅ→む, because it has thirteen strokes. A~chan stated that they wished to follow the success of four-member dance group SPEED (also thirteen strokes in uppercase), who trained at Okinawa Actors School. In order to pursue her studies, Kawayuka left the group before their debute. Kawayuuka set out to find a replacement, and Ayano Oomoto (Nocchi) joined as the third member. Later, Perfume debuted in Hiroshima with the single Omajinai Perori in March 2002. They followed up the release with Kareshi Boshuuchuu in November of that same year. Both singles were only sold in Hiroshima under Momiji Label. Around this time they also met Mikiko, a choreographer who would go on to coordinate all of the group's dances from this point forward. After they graduated from AHS, Perfume trio decide to move to Tokyo. They become part of Bee Hive, and also they meet Yasutaka Nakata (who would become their music producer from this point forward). During 2003 and 2004, they release three singles under indie record label Bee-Hive Records. Between this time too, they had their first three live performance. Though none of their releases became a hit, their management office made the choice to give Perfume a major debut. On September 21, 2005, Perfume made its major label debut under the label Tokuma Japan Communications. They released Linear Motor Girl, which charted on the Oricon charts at number 99. Two singles : Computer City and Electro World, followed in 2006. On August 2, 2006, Perfume released Perfume: Complete Best along with a new track, Perfect Star, Perfect Style. The album reached number 33 on the Oricon charts. 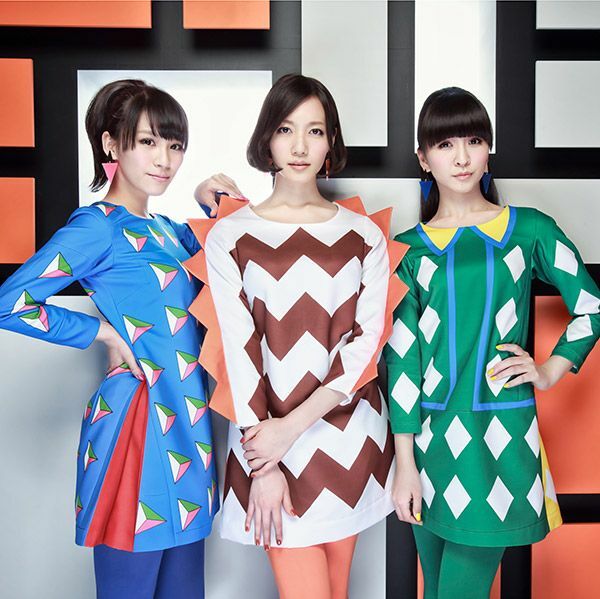 On April 16, 2008, Perfume released their first original album, Game. Game reached number 1 on the Oricon charts upon its release, making Perfume the first technopop group to achieve this since Yellow Magic Orchestra's Naughty Boys in 1983. 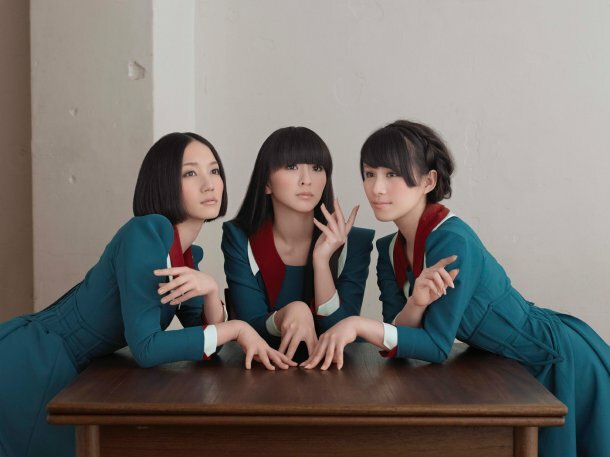 At the time of the album's release, their previous works : Perfume ~Complete Best~, Polyrhythm, and Baby Cruising Love/Macaroni re-entered the Oricon charts. Game went on to sell over 450,000 copies and is certified double platinum. 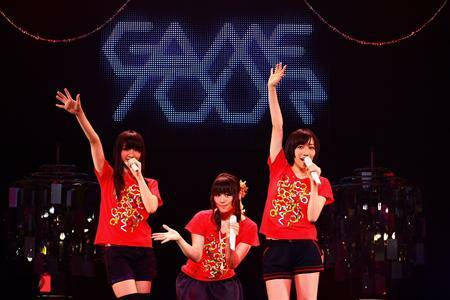 After the album's release, Perfume First Tour Game was announced. Perfume toured 10 cities and sold out all tickets. On the final date of the tour, Perfume announced that they would be doing a 2-day show at the prestigious Nippon Budokan in November 2008 as well as the release date of their next single, Love the World. When this single released on July 9, 2008 Love the World reach number 1 at Oricon chart, became the first technopop song ever to reach this high at Oricon chart. On March 7, 2012, Perfume announced that they had signed a global contract with Universal Music Group, they expected to expand their horizons and go global. A day after, March 8, 2012, the group announced the April 11 release of the single Spring of Life. This marks the group's first single to be released under their new record label. Their sixteenth major label single Spending All My Time, released on August 15, 2012, was seen as a dedication to fans overseas because the lyrics consist mainly in English. Then they had their first international tour visiting Neo Studio (Taiwan), Rotunda 3 (Hong Kong), AX-Korea (South Korea), *Scape (Singapore). The group was formed with an original post-Shibuya-kei sound as it was popular during the years until their transition toward technopop. Over the years, Perfume has been one of the most successful acts in Asian music. Nishiwaki Ayaka (西脇綾香) a.k.a A~chan often considered to be the unofficial leader of Perfume because of her cheerful and energetic personality, and because she often acts as the MC at the group's concerts. On March 2011, A~chan earned a Major degree in Economics at Asia University. A~chan has a younger sister who is also part of an idol group. She is Nishiwaki Sayaka of the female idol group, 9nine. Kashino Yuka (樫野有香) a.k.a Kashiyuka known to be shy person among the member. But with this personality, she also part of the gravure idol group Seikore 2002. Kashino is also friends with fellow singer Kyary Pamyu Pamyu. She loves carbohydrates and will not eat any vegetables except potatoes and cabbage. She picks vegetables out of her sushi. Oomoto Ayano (大本彩乃) a.k.a Nocchi is the fourth member to join the group and replaced Kawayuka after the ex-member left the group and before the group officially debuted. Before joining Perfume, Nocchi was part of a group at AHS named Happy Baby. Back then she considered Perfume to be a rival. 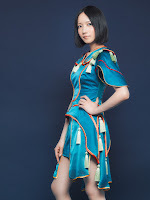 While in AHS, Nocchi was placed in the advanced class for her vocal abilities while the other two members of Perfume were placed in the beginner class. [2012.09.12] Perfume Global Compilation "LOVE THE WORLD"